Beginning her studies when she was three years old at Baltimore's Peabody Institute, she was admitted to the Curtis Institute of Music in Philadelphia at age ten, and made her major orchestral debut with the Baltimore Symphony Orchestra. Hahn signed her first musical recording contract at sixteen with Sony Music. She graduated from the Curtis Institute in May 1999 with a Bachelor of Music degree. 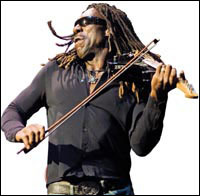 American violinist and mandolinist who performs as a member of the Dave Matthews Band. Within the band, Tinsley has collaborated in writing songs, harmonizing, and singing backing vocals. He began his studies with Isidor Saslav, concertmaster of the Baltimore Symphony Orchestra, and eventually found his interest in popular music. Current concertmaster of the New York Philharmonic Orchestra, Dicterow made his solo debut with the Los Angeles Philharmonic Orchestra. He went on to win numerous awards and competitions, including the Young Musicians Foundation Award and Coleman Award, The Julia Klumpke Award, and the Bronze Medal in the Tchaikovsky Competition. He is a graduate of The Juilliard School, where he was a student of Ivan Galamian. 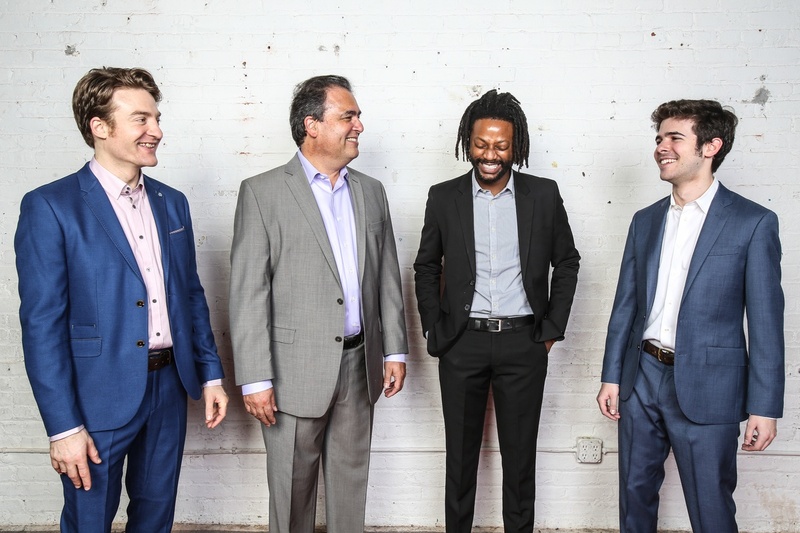 Turtle Island Quartet has been a singular force in the creation of bold, new trends in chamber music for strings. Winner of the 2006 and 2008 Grammy Awards for Best Classical Crossover Album, Turtle Island fuses the classical quartet esthetic with contemporary American musical styles, and by devising a performance practice that honors both, the state of the art has inevitably been redefined. Turtle Island Quartet stakes its claim as the quintessential ‘New World’ string quartet of the 21st century. Preucil began playing violin at age 5. At 16, he entered Indiana University and received a prestigious performer's award. 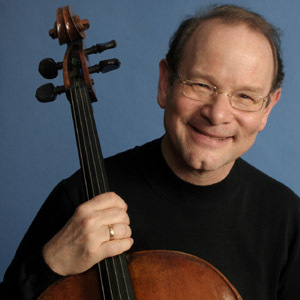 Preucil has made solo appearances with many orchestras and performed with the Cleveland Quartet, before being appointed leader of the Cleveland Orchestra in 1994. He currently teaches at the Cleveland Institute of Music and is on the artistic advisory board for the Interlochen Center for the Arts in Michigan. 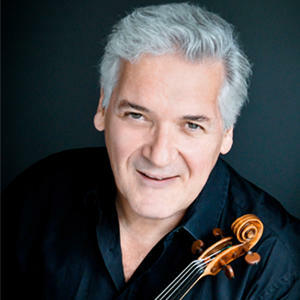 Violinist, violist, and conductor Pinchas Zukerman began playing at age 8 and studied with such greats as Isaac Stern and Ivan Galamian. His honours include the King Solomon Award, the National Medal of Arts, the Isaac Stern Award for Artistic Excellence, and an honorary doctorate from Brown University. His recordings have received 21 Grammy nominations, and 2 Grammy wins. Violinist Chad Hoopes has appeared with ensembles throughout the world since he won first prize at the Young Artists Division of the Yehudi Menuhin International Violin Competition. His exceptional talent and tone are acclaimed by critics worldwide. He is a violinist possessing vibrant virtuosity "with an inspiring blend of emotional expression and technical ease;" his mastery is described as "way beyond his years." Former Asst. Concertmaster of the Cleveland Orchestra and the Goteborg Symphony. Laureate of the Queen Elisabeth International Competition, Recipient of the Ysaye Medal and frequent participant in the Marlboro and the Casals Festivals. The former Fulbright scholar taught at the Royal Academy of Music in Goteborg, Seoul National University, The Cleveland Institute of Music and the University of Southern California. Jimmy is the fiddle player for Zac Brown Band. Combining effects typically set aside for guitarists and using them to manipulate his fiddle's sound, Jimmy offers a different take on violin. Jason is a multi-instrumentalist, songwriter, producer. He's toured w/ Shania Twain, John Fogerty, Keith Urban, and The Wreckers. Ms. Barton Pine began playing violin at age 3 and a half. Now, she tours as a soloist, plays in a baroque chamber music group and heavy metal band, and has an active recording career. She was the youngest and the first American gold medal winner at the J.S. Bach International Competition and also earned 2nd prizes in the József Szigeti and Fritz Kreisler Violin Competitions. Associate Principal Bass of the Metropolitan Opera Orchestra and graduate of the Curtis Institute of Music, Mesh has taught master classes at the New World Symphony, the Cincinnati Conservatory, the Juilliard School and the Manhattan School of Music. He has performed regularly at the Verbier Music Festival, and with the MET Chamber Ensemble, the Caramoor Virtuosi, and the Brentano and Tokyo String Quartets. Born in Stuttgart in 1967, Huebner began studying piano and violin at 6. In 1994, he moved to New York to earn his MA in jazz piano/composition from the Manhattan School of Music where he received a “President’s Award”. His compositions have been performed by many orchestras including the Pittsburgh Symphony and the Stuttgart Chamber Orchestra. Grammy award winning upright bass player and NEA grant winning composer who has played with a wide variety of musicians including Bruce Cockburn, Elvis Costello, Ani di Franco, Jerry Garcia, David Grisman, Rickie Lee Jones, Mark Morris, Van Morrison, Aaron Neville, Lou Reed, Pete Seeger, Jules Shear, Bob Weir, Neil Young, Jackson Browne, Banyan, and Oingo Boingo. Jeremy burst onto the bluegrass scene as a member of Billie Renee and Cumberland Gap (winners of the 2006 SPBGMA International Bluegrass Band Championship). He now plays fiddle for the well known Nashville band, "The Grascals." The Strokes are an American rock band from New York, consisting of Julian Casablancas, Nick Valensi, Albert Hammond, Jr., Nikolai Fraiture and Fabrizio Moretti. Upon the release of their debut album Is This It in 2001, the group met much critical acclaim; the album was eventually ranked number 199 on Rolling Stone's 500 Greatest Albums of All Time. They maintain a large fanbase worldwide. Quint's range of interests have led to several Grammy Nominations, performances with major orchestras at venues ranging from Gewandhaus to Carnegie Hall, a leading role in the independent picture “Downtown Express” and explorations of Tango with "The Quint Quintet." He has been broadcast on CBS, CNN, ABC, BBC World News, NBC, Reuters, Bloomberg TV- " Night Talk with Mike Schneider" and "Muse" as well as on NPR, WNYC and WQXR. The American String Quartet is one of the world’s foremost quartets. Critics and col­leagues hold them in high esteem and many of today’s leading artists and composers seek out the Quartet for collaborations. Critically acclaimed for its presentations of the complete quartets of Beethoven, Schubert, Schoenberg, Bartok and Mozart, the American also champions contemporary music. Renowned for its passionate musicality and impressive technique, the Shanghai Quartet has become one of the world's foremost chamber ensembles. Its elegant style melds the delicacy of Eastern music with the emotional breadth of Western repertoire, allowing it to traverse musical genres from masterpieces of Western music to cutting-edge contemporary works. Bobby Yang is reinventing the sound of the acoustic violin. He combines the passion of violin, the dirt of bluegrass fiddle and the rawness of a guitar. He and his "Unrivaled Players" tour nationally. In the band, his violin is the lead singer and guitarist, as Led Zeppelin, RUSH, and other legends, become instrumental jams. He is also Kevin Costner’s fiddler in his band Modern West. Alex began classical violin at age 5 and won his first university-level concerto competition at 10, and later (14) won a competition that entitled him to perform at Carnegie Hall. He's performed extensively with Capitol recording Artist Chris Cagle and guitarist Steve Vai, for which he received a GRAMMY nomination, and a Gold Record from the RIAA for his role in Vai's DVD release, "Steve Vai: Live in Minneapolis - Where the Wild Things Are". Jonathan Carney is a violinist, violist, and conductor. A graduate of the Juilliard School of Music, he studied with Christine Delthier and Ivan Galamian and moved to London on a Leverhulme Fellowship Award to study at the Royal College of Music. Carney was leader of the Royal Philharmonic and Bournesmouth Symphony Orchestras as well as concertmaster of the Baltimore Symphony. Ann Marie began playing bluegrass violin at age 3. From there she played in the family band and won fiddle competitions left and right. She also began to learn classically as she grew older. She went on to study and teach both Biology and Music, but eventually decided to pursue her music career, where she has played with the likes of Dave Matthews Band, Jethro Tull, Steve Vai, Ringo Starr, and The Foo Fighters. A Juilliard graduate, Zuill he has appeared with many major orchestras and is a professor of cello at the University of Texas at El Paso. He has played venues from Carnegie Hall to the Kennedy Center and even had a recurring role on HBO's Oz. He is also a member of the Perlman/Quint/Bailey Trio, along with pianist Navah Perlman and violinist Philippe Quint. 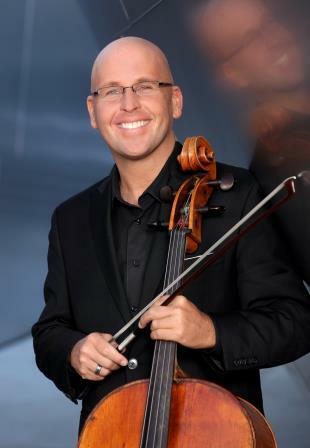 A prominent viola soloist and chamber musician, Paul has performed throughout the world, making solo appearances at the Sydney Opera House, Queen Elizabeth Hall and Teatro Colón. He performed Béla Bartók´s Viola Concerto with Yehudi Menuhin conducting, and recorded Schumann's Märchenbilder and Rebecca Clarke's Sonata for Viola to some acclaim. He teaches viola and chamber music at the Colburn Conservatory. Assistant Concertmaster of the Metropolitan Opera Orchestra and former Associate Concertmaster of the Atlanta Symphony and Assistant Concertmaster of the Rochester Philharmonic Orchestra. Mr. Eicher is a graduate of the Paris Conservatoire where he studied with Pierre Amoyal and Jean Hubeau. In the US, he studied with Dorothy DeLay and Hyo Kang at the Juilliard School. Chee-Yun studied at the Juilliard School with Dorothy DeLay, Hyo Kang, and Felix Galimir. She won the Young Concert Artists International Auditions in 1989 leading to her Carnegie Hall debut. She was appointed Artist-in-Residence at the Southern Methodist University in 2008, but still actively tours. She owns a 1669 Francesco Ruggieri violin and plays the Stradivarius "Ex-Strauss," on loan from Samsung. The Emerson String Quartet is a New York–based string quartet in residence at the State University of New York at Stony Brook. Formed in 1976, they've released over thirty albums and won nine Grammy Awards. Both violinists in the quartet were students of violinist Oscar Shumsky. Formed in 1976 United States Bicentennial, the Emerson String Quartet took its name from American poet and philosopher Ralph Waldo Emerson. Martha Mooke, composer & electroacoustic violist, a pioneer in the field of electric five string viola, transcends musical boundaries by synthesizing her classical music training with extended techniques, digital effects processing and improvisation. Martha Mooke is founder, violist and Music Director of The Scorchio Quartet. David Geber studied at the Eastman School of Music and the Juilliard School. He has received numerous awards, including the Walter W. Naumburg Award and the Coleman Chamber Music Prize. He was also founding member of the American String Quartet. He is currently Dean of Performance and Co-chairman of Strings at Manhattan School of Music and a member of the cello and chamber music faculties. Itzhak Perlman is a violinist, conductor, and master-instructor. He is considered to be one of the preeminent violin virtuosi of the 20th century. Perlman enjoys superstar status rarely afforded a classical musician. Beloved for his charm, humanity, as well as his talent, he is treasured by audiences throughout the world who respond not only to his remarkable artistry, but also to the irrepressible joy of making music. David Friesen is a preeminent jazz bassist from Washington. Self-taught while serving in the army, Friesen ended up touring with many artists including collaborating with John Stowell, whom he ended up working with for years. He has also worked with Chick Corea, Michael Brecker, Stan Getz, Dexter Gordon, Kenny Garrett, Dizzy Gillespie and Mal Waldron. Jason Anick is a Boston based performer, composer, and educator, making a name for himself in the world of jazz violin and mandolin. He's toured nationally and internationally with Nashville guitar virtuoso John Jorgenson (Elton John) and recorded on his most recent CD "One Stolen Night". His debut solo album "Sleepless", was cited as "a must have for any jazz violin/mandolin fans"-jazzmando.com. Embracing jazz, classical, world, and popular music, Zach has collaborated with Stanley Clarke, Snarky Puppy, Phil Markowitz, and many more. His repertoire includes re-workings of songs by John Coltrane, Jimi Hendrix, and Zbigniew Seifert, as well as his own compositions. His debut on Criss Cross offers a glimpse of why Zach is being heralded as ‘the pre-eminent improvising violinist of his generation.’ (Neil Tesser). Hailed by The New York Times as "an artist who makes one hang on every note”. A first-prizewinner in many national and international competitions, Robert was the first cellist to win the grand prize at San Francisco’s Irving M. Klein International Competition for Strings. He has collaborated with many distinguished conductors, including Neeme Järvi, Peter Oundjian, Joseph Silverstein, and Leonard Slatkin, and performed nearly all the major cello concertos with the Detroit Symphony Orchestra, where he served as principal cello for over a decade. deMaine has also served as a guest principal in the Saint Paul Chamber Orchestra, the Toronto Symphony Orchestra, and the Bergen Philharmonic Orchestra. He was invited to join the Los Angeles Philharmonic as Principal Cello in 2013.